Transforming lives through educational experiences. 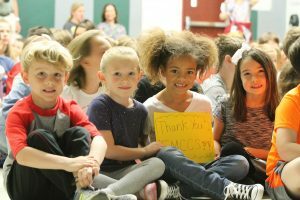 The Foundation of Monroe County Community engages community support to inspire learning, enrich teaching, and enhance educational opportunities of all MCCSC Students. 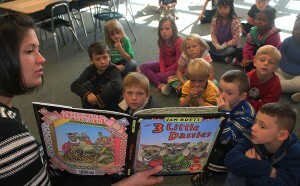 875 kindergartners worked with 42 community MENtors to improve literacy skills in our Real Men Read Program. Each student was given 5 leveled readers to build their home libraries – that’s 4,575 books! $84,800 to support literacy instruction. Projects include: Real Men Read, Intervention resources at all grade levels and Summer Immersive Reading. 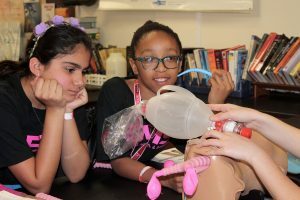 150 girls in grades 5th and 6th attended the first annual Girls in Engineering, Math, & Science event. More than 80 female volunteers helped engage young girls in STEM. $44,300 was raised to support the Food Assistance program which served more that 1,000 students throughout the year. 28 adult learners received scholarships for high school equivalency testing. 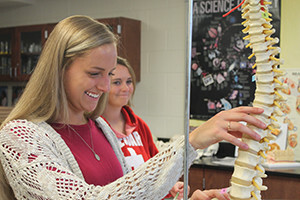 Since 1973, the Foundation has provided more than 1,758 grants in MCCSC schools. 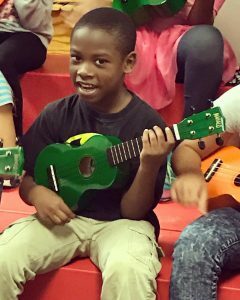 During the 2017-2018 school year, cumulative funding provided by FMCCS to the school corporation reached $3,826,000!